Union sporting director Ernst Tanner. Ernst Tanner’s first signing of his tenure as Union sporting director is Sergio Santos, a 24-year-old Brazilian forward from Chilean club Audax Italiano. Santos stands 6-foot and 181 pounds, and has 19 goals in a 56-game, four-year career for Audax. Seven of those goals have come in 2018, including one in the Copa Sudamericana, the lesser of South America’s two continental club championships. “I think he’s the perfect fit or our future playing style - he can cover quite a lot of positions in attack," Tanner said on a conference call with reporters Friday morning. “He’s quite quick and really stable. He’s very good at maintaining the ball and putting his body in between the ball and his opponent, so he can also be good in holdup play. ... [and] he’s very good at counter-attacking." 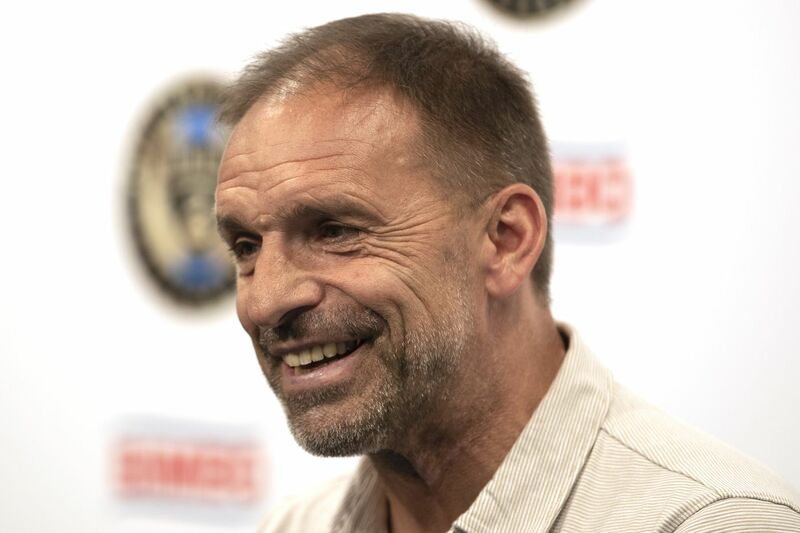 The Union paid a $500,000 transfer fee to acquire Santos, and will spend Targeted Allocation Money on his salary to bring his cap hit below the Designated Player threshold. If those weren’t enough signs that the team’s brass has expectations for their new player, Tanner put his own view on the record. For the record, Tanner told the Inquirer and Daily News in late November that he was optimistic about having a signing on the books before Christmas. He got it done. Santos described himself (through an interpreter) as not only a scorer, but “a player that likes to go and put a lot of pressure on the other team, and pressure their defense when they have the ball.” That’s just what Tanner wants in his up-tempo, transition-oriented tactical system. News of the Union’s interest in Santos first surfaced a week and a half ago when he told a Chilean radio station that Union representatives had gone down there to meet with him in person. The Union’s personal touch - and the appeal of bringing his family to the U.S. - impressed Santos enough to spurn a transfer that Audax had agreed to with Mexican first-division club Necaxa. That’s a nice coup for the Union. Implied there is the belief that if Santos proves himself in MLS, he’ll draw suitors from higher-profile teams in Europe. It’s a correct belief, and if the Union can sell him in a few years, that will be good business. Tanner said he isn’t done shopping. He’s currently in Europe and is next off to Africa, where he has quite a few connections. In his last job at Red Bull Salzburg, Tanner unearthed current Liverpool stars Saido Mané and Naby Keita.